"There has never been anyone just like you, and there never will be." Keanu Reeves is a great action star, so he never quite gets the credit he deserves for being a quietly strange guy. His oddball nature has been on display in a series of Squarespace ads slated to air during the Super Bowl. First, through tears of joy, he instructed us how to build an ad. 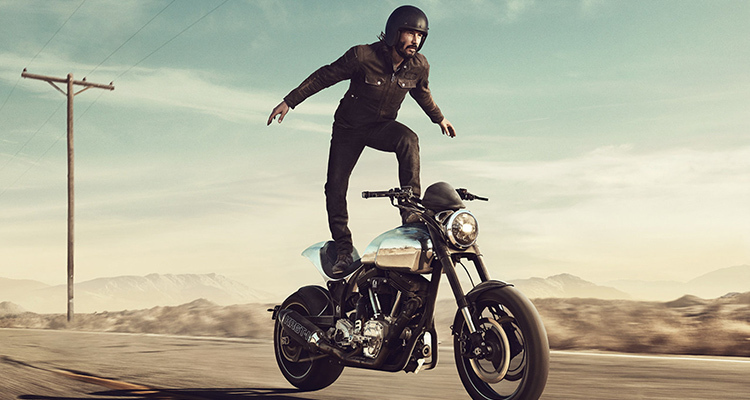 In this ad, he's riding one of the bespoke motorcycles made by his high end bike company, Arch Motorcycles surfer-style, reciting lyrics to a song titled "Adventures in Success." It's a simple ad, but dreamy and weird, and very Keanu—especially the end, which seems perfectly in context. Put together with the longer ad above about making a website, these almost form a mini-movie. Think John Wick having a rare bit of downtime. Actually, we'd totally watch John Wick: Just Chillin'.